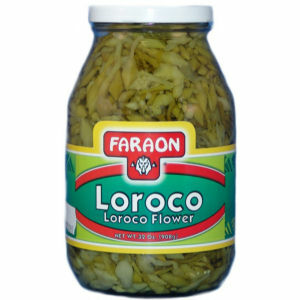 Loroco is a delicious exotic flower native of El Salvador and Guatemala. In its indigenous, original name it was called Quilite, which means edible herb. This product is the flower of the Loroco, which is very aromatic and pulpous. It is the product of a tropical plant. A unique pungent flavor that is used in "pupusas", a corn based food popular in El Salvador.